I've grown up watching Hollywood films about the rite of passage that is the American High School prom. It's the idolised evening where American teenagers face the climax of their personal character arcs. Bianca punches Joey in 10 Things I Hate About You and Kat realises the truth behind Patrick asking her out. Troy and Gabriella perform possibly the best dance number in Disney history in High School Musical 3's 'A Night To Remember'. Molly Ringwald makes an entrance in Pretty in Pink. Pacey and Joey have a colossal fight in Dawson's Creek. They kiss, they breakup, they dance in slow motion and always remind each other with starry eyes that it is a night they will remember for the rest of their lives. Other regular themes include sneaking in booze; dodging the teachers who act as wardens on patrol; limos, corsages; threats from fathers to boys about treating their daughters respectfully; plans (often thwarted) to "do it” for the first time on prom night. In the movies, it is almost always a heady mix of teenage angst and fairytale. While there were many differences, there were also many similarities. The evening held the same weight and sentimentality that came with marking the end of our school career. 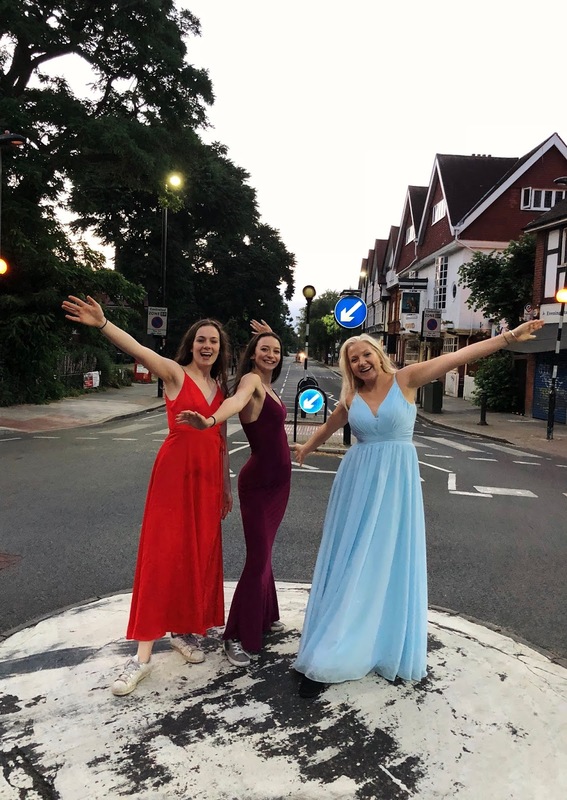 Close friends shared moments of simple joy and laughter that would unlikely happen on any other evening (Lily, Sarah - we’ll always have the roundabout). Old friendships were repaired (Alfie, I mean you); students from different groups who had barely spoken in years suddenly were connecting and laughing and grasping the moment. And for me and many of my friends, it was all about the dress. After the party, after the after-party, after the after-after-party, I ended up dancing in a park at 4am with my best friends as the sun came up. The usual London bustle was muted by dawn and it was like the whole world was ours, just for that short window. For once, not agonising over exams or the uncertainty of our future. Truly carefree, living in the moment. We ran down empty streets in our prom dresses; we laughed at the strange encounters of the night bus (not a limo in sight); we were joined by an odd collection of people, not necessarily people with whom we’d spent much time over the last year but who persevered with us throughout the night. All embracing and bonding over the collective, deliriously joyful state of having just officially graduated. By the time we made it to starbucks at 5am we came up with what we thought was the funniest idea of the night - returning to school, where our prom was held hours earlier, and watching the teachers and younger students arrive as normal at 8am for their regular school day. The next three hours were a test. We lost a few from our eclectic group at different stages due to exhaustion but the final five or so that made it back were absolute troupers. And after our grand tour of different locations throughout the night we returned exactly 12 hours after our prom began. We saw our wonderful head of year — the inspirational, best-teacher-in-the-world, Mrs Adams. We saw a few others who had the same idea. Everyone, it seemed, had a fun night. The visual snapshot of that moment - the sunrise, the strange yet warm company, the colours of our dresses twirling in the morning light. It might have been very different to the movies but - and I almost hate to say this — it is, starry eyed and all, a night I will remember for the rest of my life. Prom is definitely over-glamourised and all in all extra in the states compared to here. We didn't have a year 13 prom but I did have one back in year 11 (which seems crazy to think about) It was, ironically, based around Hollywood film but still was nowhere near the level of American proms. Your dress is so beautiful, it compliments your skin tone and eyes so well and you look like some kind of ice princess haha. So glad you had a lovely night!